Fate/Extella Link is many things. It’s the third entry in a bizarre trilogy with tons of outside context. It’s a “Musou” game that isn’t actually a Musou game. Over the course of the trilogy we’ve seen the series swap developers, publishers, and even show up on Netflix with an anime adaptation. Technically, it’s not even really a trilogy. It’s weird to include this here, but from a personal angle I’ve covered this series throughout my career, from when I was barely getting started to here at PlayStation Lifestyle, years into the hustle. It’s too early to tell if this is the ending, but for now, Fate/Extella Link is an interesting new chapter in the saga, one that lets it have a little more fun with itself. I don’t normally go hard on background information in reviews, but Fate/Extella Link practically requires it. In 2010, now-defunct developer Imageepoch and visual novel legend Type-Moon developed Fate/Extra, a strange, little RPG for the PSP that Aksys Games published in North America. Fate/Extra stood as an alternate universe version of Fate/Stay Night, an ever-popular visual novel that exploded into a multimedia franchise in the early 2000s. I call it strange, as the game featured an unwieldy battle system that was based on rock-paper-scissors and pattern recognition, with obscured clues tied into the story’s greater mythology. In Fate/Stay Night proper, the story deals with real people in the real world. “Magicians” fight over the “Holy Grail,” a sort of existentially vague force that can grant wishes. This is a violent fight, and the magicians use “servants” as their primary weapons. Servants are physical manifestations of historic figures both from history and fiction, who come back into reality in an almost Pokemon-like fashion, with types and stats that are literal aspects of the story. In Fate/Extra, the setting is in a digital space, with everyone sort of dialing into the Holy Grail War from a ruined Earth. Some characters from the Fate past show up as NPCs, which almost hints that this is a far off future from the normal canon of the series. Fate/Extra takes us through a new take on the Holy Grail War, and the Extella series is the aftermath. 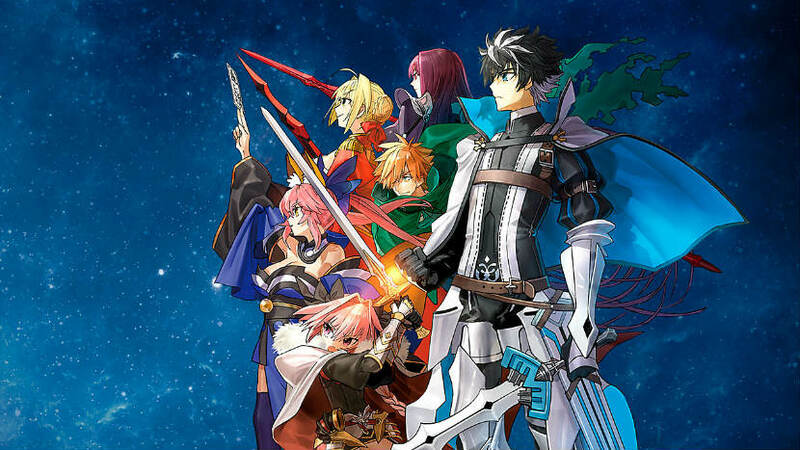 The Extella titles are developed at Marvelous, which (as a subsidiary of Xseed Games) is also the publisher. Both Extella and Extella Link play like Musou games, or Dynasty Warriors for the less nerdy readers. The first game was a little on the low budget side, but wore it well. The visuals and enemy variety were all kinda same-y in their fantasy/digital style, and the mechanics were a little barebones compared to modern Musou titles. But, where it excelled was in the speed of battle, which saw the player doing wild stuff like air-dashing across the battlefield, and of course the theatrical, character-oriented juice from the IP. 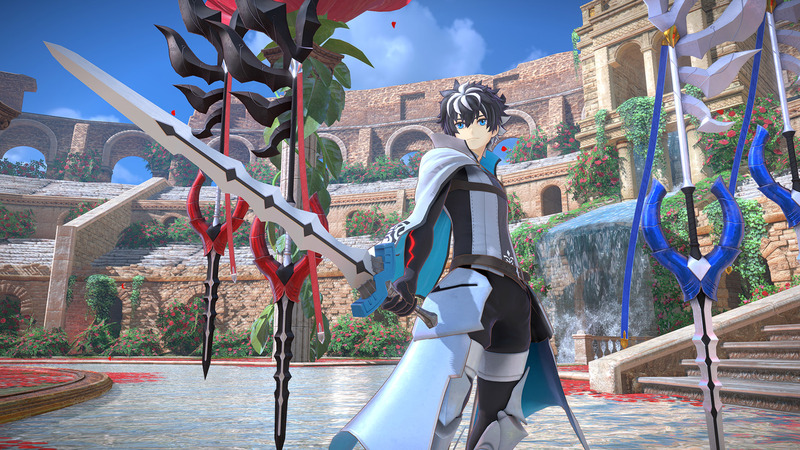 Fate/Extella Link is a sequel to the previous title. While the first game saw two of the playable options in Fate/Extra battling over control of a digital Moon (yeah, just, you’ll want to play the previous games for full context there), this sequel sees everyone banding together to take on a powerful, new threat. The internal conflict has been resolved for the most part with all the Servants working under the “Master,” and now a fight over territory has become a battle for free will and all that jazz. This is more of a babyface vs heel story so it’s less complex, but it also opens the door for more playable characters. All sixteen of the playable Servants from the last game are back, and more characters join the roster. The game’s primary focus has doubled down on the Servants, as now managing bonds between them and the Master has become a bigger deal. It’s easier and more part of the main story to swap between who you play as this time, and there are more benefits to spending time with them and making sure to level up your bonds. There’s even a new little hub space that lets you run around as the Master and talk to people, although you can still just cycle through where you want to be via a menu. The experience overall is smoother and snappier, and the progression stuff is more effectively explained. What struck me the most about Fate/Extella Link is that as a side effect of this renewed focus on the playable roster, the tone overall seems to be a bit more lighthearted compared to the previous games. There were plenty of comedic moments, especially in the first Extella, but they still had a primary focus on the serious Holy Grail War drama and the Kinoko Nasu narrations. That stuff is still here, but way more downplayed in favor of character dialogue. It made me wonder if Nasu’s involvement has shrunken down more, but that information isn’t really available. Either way, this game feels like more of a “romp” than the previous ones. As far as the combat is concerned, Fate/Extella Link plays catch up here to the Omega Force competition. There are more variations in combos and moves, which is supplemented with a special move system similar to what was introduced in the Dragon Quest Heroes series. Holding a trigger down opens up a moveset of special moves, but rather than having MP or something similar, each one has a brief cooldown. This results in raising the ceiling on what you can do, and since characters can already dash around indefinitely on the ground and in the air, there’s a ton of exciting combo potential here if you’re seeking it out. Of course, the room-clearing Noble Phantasm moves are back, and the little cutscenes associated with each one are a blast to see, especially paired with dramatic moments on the battlefield. Speaking of dramatic moments, Extella Link also introduces Musou-style side objectives, which can alter the course of a stage depending on the player passing or failing them. It’s a small thing overall, but while sometimes these things can be annoying wherever they crop up, they do significantly alter the pace and flow of this genre in practice, and not having them at all in the previous game was proof enough. It’s a welcome addition here, and helps keep the core gameplay loop from getting stale. Also introduced in Fate/Extella Link is a multiplayer mode. It’s hard to fill up matches during review periods, but I did get some time with it nonetheless. It’s a 4v4 gameplay mode that sees teams of players, AI fill-ins, and of course grunt units, band together to fight for capture points. The points shift over time, and whoever fills their meter first wins. It’s quick and dirty multiplayer Musou action, and while it can be confusing and sloppy, it can also be fun to goof around with on the side. It’s totally unnecessary but doesn’t compromise the main experience at all to have it there. So it’s a fun, neat extra bonus. Fate/Extella Link is proof that an idea can succeed over time, even if it doesn’t exactly catch on at first. It’s totally okay to jump in and have fun here with all the interesting characters, but it’s also a heck of a ride to try and take in all the context. While the first game is divisive, you can also check out Fate/Extra Last Encore on Netflix as an alternative, then get your feet wet with the first Extella, then really dive into Extella Link. There’s a ton of content here, a lot of fun characters, lots of depth to the combat, and even a goofy multiplayer mode to boot. It isn’t the most well-written game in the series, but as a high-octane action game, it delivers plenty. Fate/Extella Link review code provided by publisher. Version 1.01 reviewed on a Standard PS4. For more information on scoring please see our Review Policy.